Tough challenges have a way of breeding tough people. The challenges of the Spanish-American War set the stage for the formation of the Rough Riders — the first United States Volunteer Cavalry Regiment organized by Theodore Roosevelt and Leonard Wood in 1898. Over 1,250 men — rugged individuals who could ride and shoot — from all over the United States volunteered to serve. Shortly after they assembled and were trained in San Antonio, the Rough Riders set off for Cuba where they played a key role in the outcome of the Spanish-American War. Teddy Roosevelt and his men earned a place in history because of their willingness to serve their country in extreme conditions. 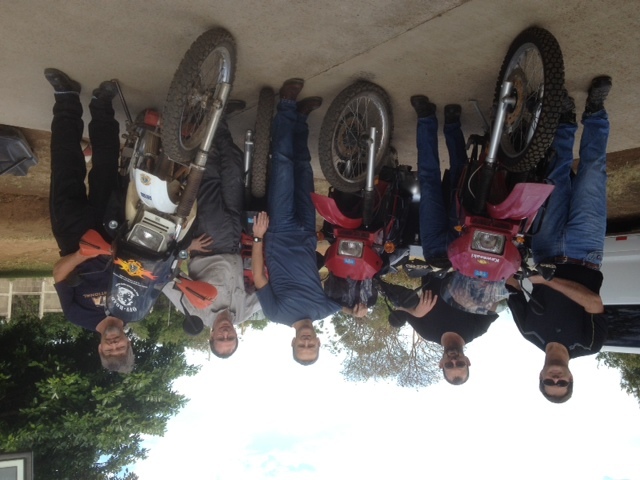 Kingsland's Rough Riders in Nicaragua. A few days ago our missions ministry sent our own rough riders to serve in Nicaragua. Doyle Lowrey, our Executive Pastor, serves as our missions ministry’s point man for our partnership in Nicaragua. He was more than excited to accept the challenge of mobilizing a team to work with Eric Loftsgard, our partner in Nicaragua, to take the Jesus Film to some of the remotest parts of the country. Our team is traveling light on dual-sport motorcycles. They have already encountered lots of obstacles and challenges, including tough terrain and flat tires. But, the people of the remote villages they are visiting have welcomed them with open arms. Our own rough riders are playing a key role by serving God’s purposes in some tough places. Please keep Doyle and our team in your prayers as they continue their off-road journey this week to take the gospel to those who live off the beaten path.